The Construction Documents Technology (CDT) certification means that you have proven your knowledge of the preparation and organization of construction documents. It means that you understand the best methods of efficient communication, relationships, and roles between all stakeholders in a project. It also certifies that you have a complete understanding of the entire construction process, from start to finish. 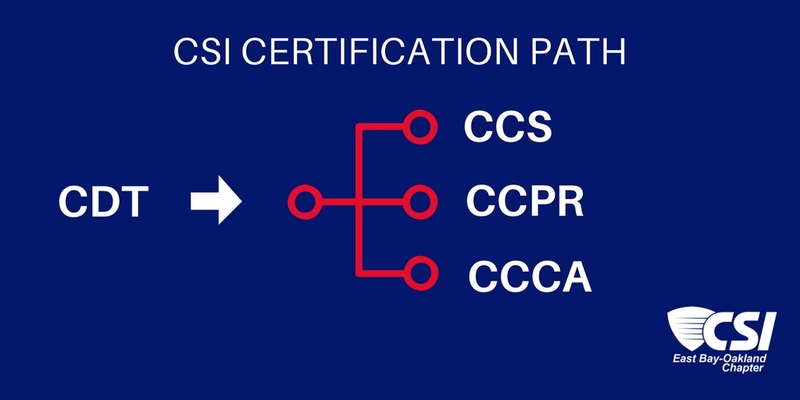 The CDT is the foundation of the four certifications that CSI offers, and a prerequisite for the three more advanced certifications; once you have studied for and successfully completed the CDT exam, you are free to pursue the Certified Construction Specifier (CCS), Certified Construction Contract Administrator (CCCA), or Certified Construction Product Representative (CCPR) certifications. Besides improving knowledge, you obtain the privilege of having the CDT initials after your name on your business card and resume. This demonstrates your commitment and professionalism to clients, employers and colleagues through the backing of CSI.